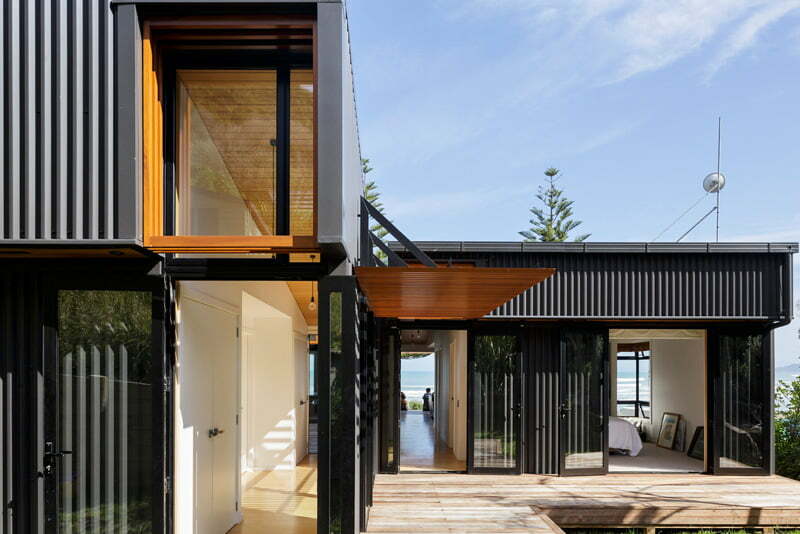 This Beach Side Family House have their modern characteristics, and contemporary architectural sense of planning, with urban neighboring interconnected planning. 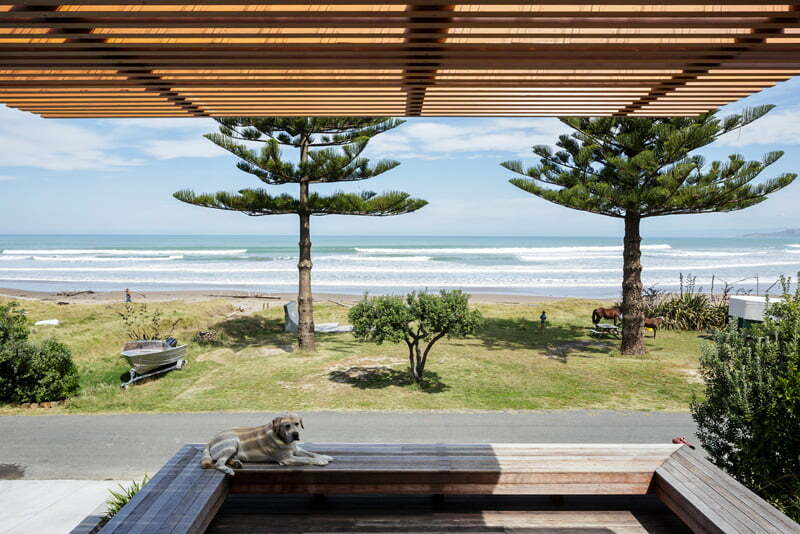 By Irving Smith Architects have designed a beach side family house in the coastal community north of Gibsorne, New Zealand. 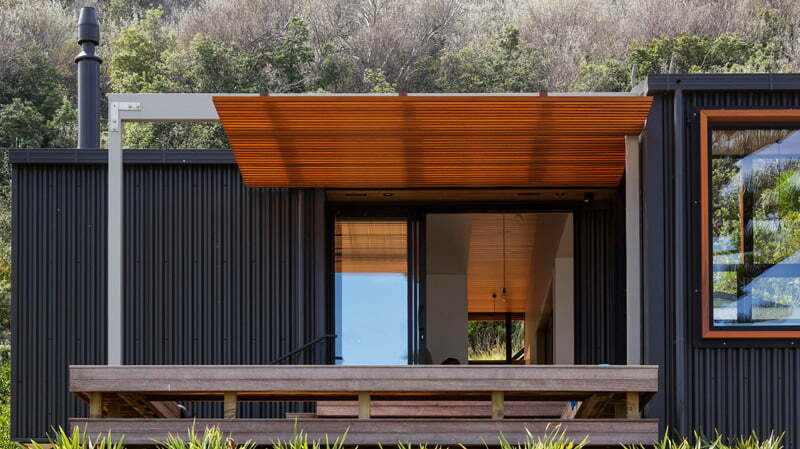 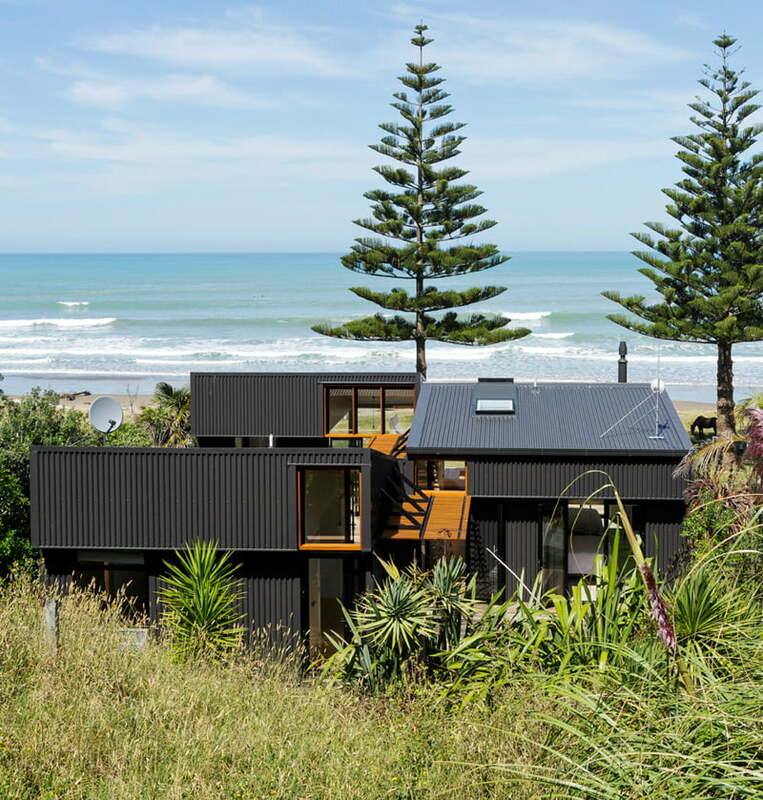 From a context of accrued simple shed-esk dwellings in an isolated and south facing New Zealand coastal surf community, a strategy of sequencing building ‘sets’ (aka surf) was generated to scale new form to its surrounds. 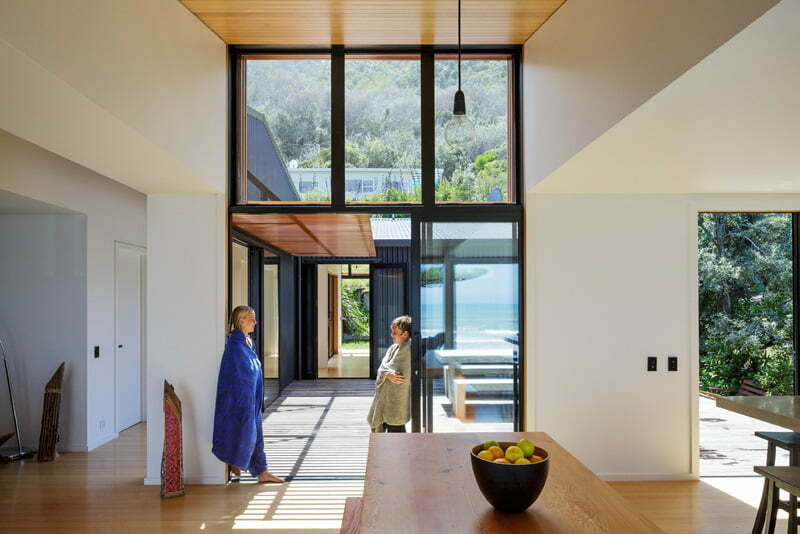 New ‘shed’ A beach side family house sets are then offset to allow seasonal living, circulation, and privacy options and for variations in wind and sun exposure. 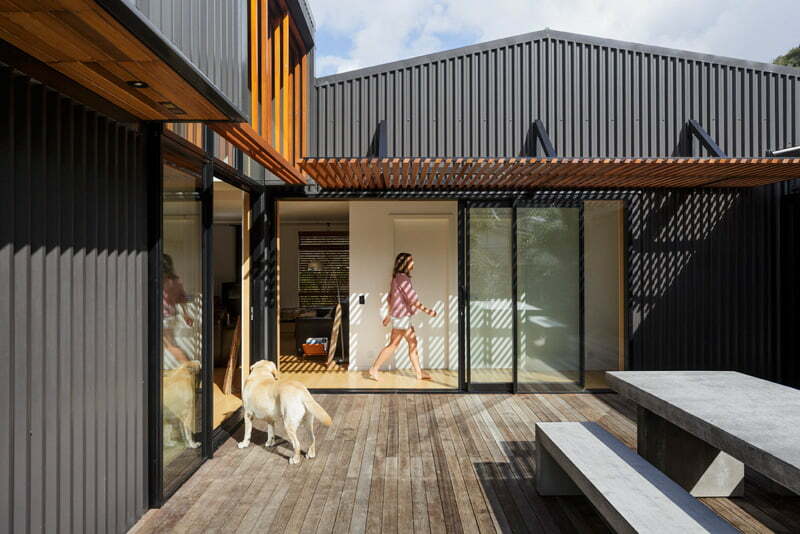 Summer opens and invites in community, with diagonal movement connecting offset and shaded external spaces. 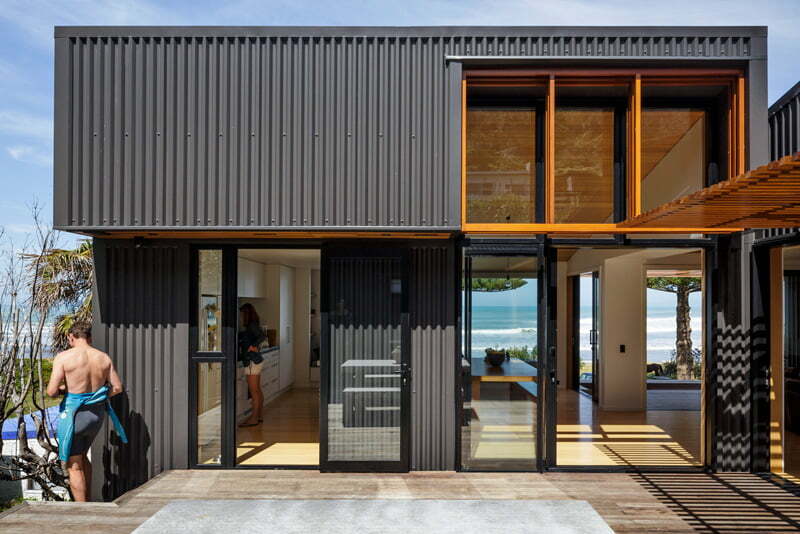 Here living holds minimal interior use, with summer circulation defining informal house boundaries, and the control of sand. 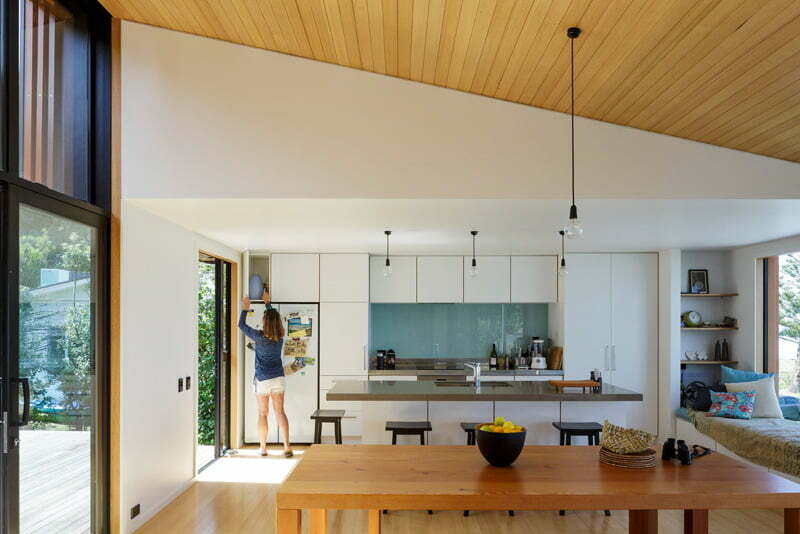 Circulation then internalizes for winter shut down, with high level northern openings capturing precious northern light and warmth, and offset forms providing shelter to the southern exposure.